We’re so spoiled: In NYC, there’s a coffee shop on every corner. But then there’s that coffee that makes you weak in the knees and want to name your first-born child after it. 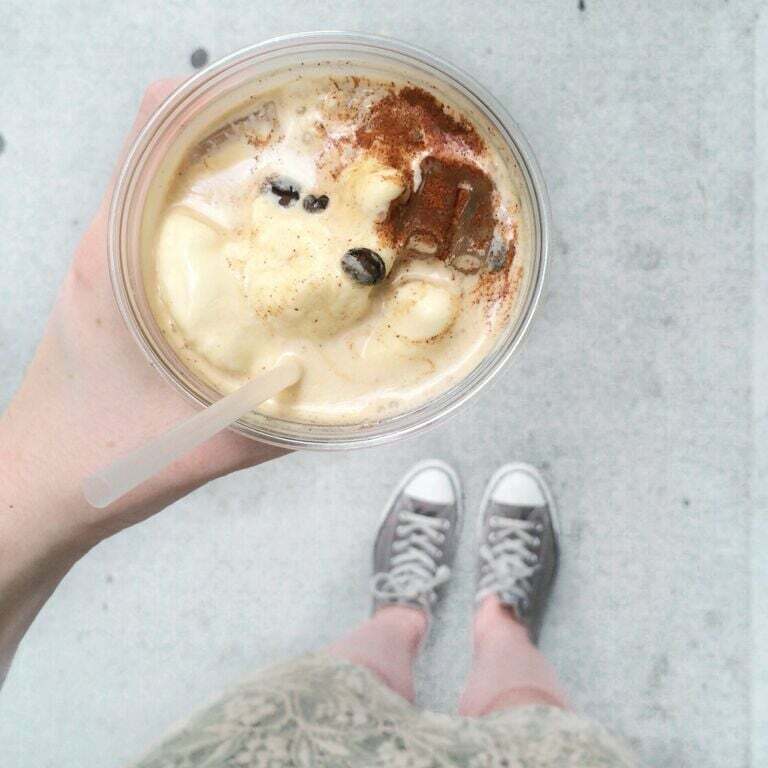 We’ve found the 18 best iced coffees in NYC. Room for milk, please. Come for the stellar cold brew; stay for the sheep stuffed animals that hang out in every nook and cranny of the store. No watery, diluted iced coffee for you. This stuff is made with coffee ice cubes, so you can sip it for hours, even on a hot summer day. This local coffee chain uses the Toddy Cold Brew coffee system, and after trying it at Greg’s, we might just buy the brewer for ourselves. This extra fancy brew is served three days a week and you have to trek all the way out to the Columbia Street Waterfront to get it. But trust us: It’s worth it. An iced Americano is technically a shot of espresso with ice and water. But tomato, to-mah-to, this is a damn good cup of cold coffee. This Aussie spot is known mostly for its flat whites and avo toast, but give the iced latte a chance, too. It’s smooth with just the right amount of milk. What do you get when you combine condensed milk, mint, cocoa, espresso and Aleppo pepper? The tastiest mocha in NYC, that’s what. 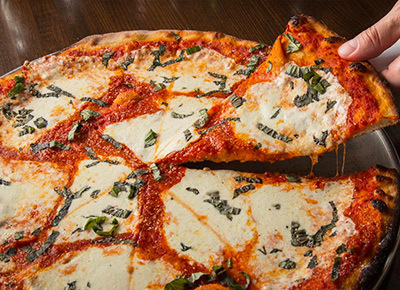 Don’t worry, our lactose intolerant and vegan friends, we haven’t forgotten you. This amazing latte is made with almond milk instead of regular, and it’s just as good as the original--maybe even better. 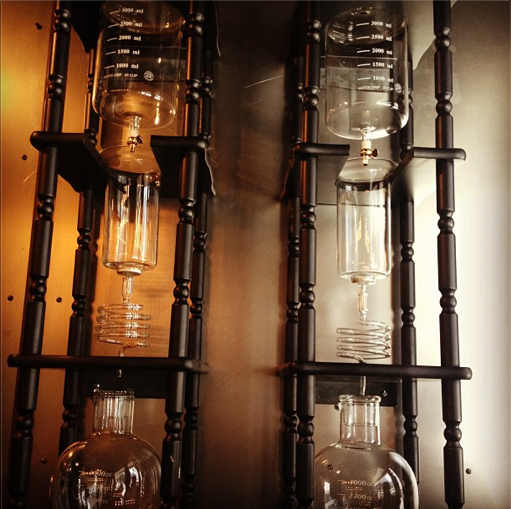 Remember the awesome Toddy Cold Brew system? It’s making delicious brews at this East Village coffee haven, too. Mmm, we’re obsessed with this mixture of espresso, basil-mint simple syrup and whole milk. But try it soon--it’s available only in the summer. How do you make one of the best iced coffees in town? Let it steep for 12 hours after brewing it in--you guessed it--a Toddy. This coffee chain swears its special Nitro brew has a “smoother mouthfeel” than the traditional stuff. We have no idea what that means, but we’re completely addicted. Ooh, the Kyoto method involves brewing coffee in a really cool glass contraption popularized in Kyoto, Japan. You’ll have to wait a little longer for a cup, but it’s definitely worth it. This creamy blend of iced coffee, whole milk and organic cane sugar is smoky with notes of caramel. It’s the perfect afternoon pick-me-up. Related: Which Coffee Shop in NYC Has the Best Bathroom?